I didn't know this, but STARFISH HAVE EYES EVERYONE. This means every time I've touched a starfish, I probably touched them in the eye. 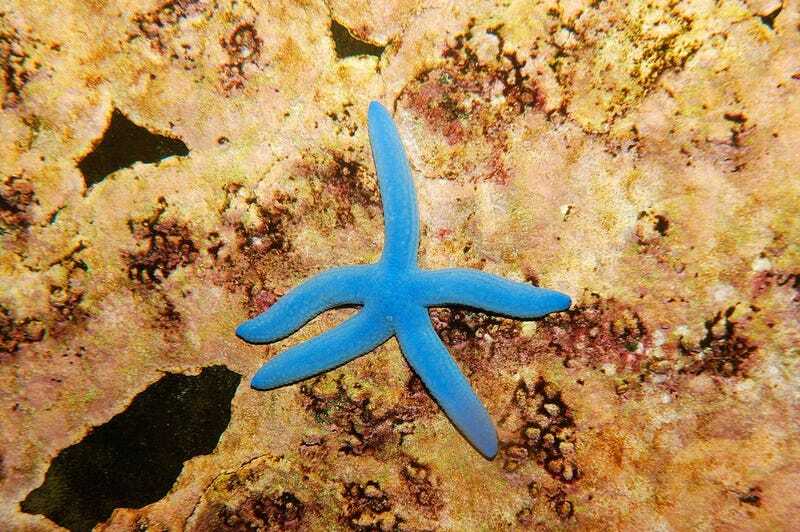 National Geographic says that starfish have an eye at the end of each leg. I have definitely touched one. Once I get over that squick, I'll probably think it's really cool how an animal without a recognizable brain can see. PS: I was going to google "starfish eye" to illustrate this post and then I was like NO BAD IDEA.